Calendar: «John Muir Day in California». «No holier temple» illustrated quotation. John Muir Day, free quote pictures for Facebook, Twitter, LinkedIn, Reddit, Pinterest and other social networks. 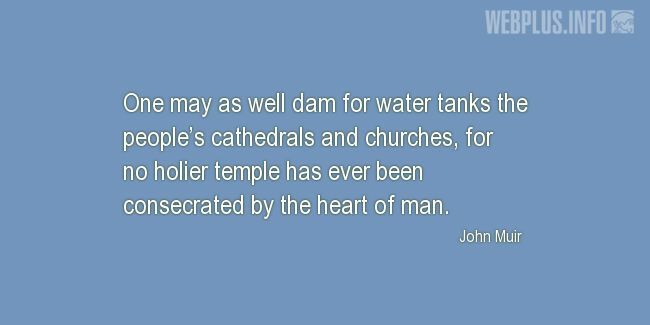 One may as well dam for water tanks the people’s cathedrals and churches, for no holier temple has ever been consecrated by the heart of man.